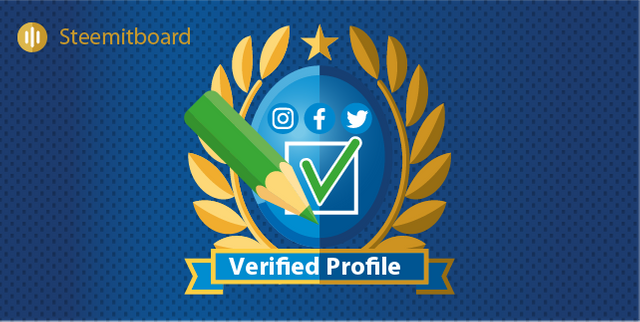 The @steemcleaners team worked with @steemitboard to allow users who requested a profile check to receive an award that confirms this verification was successfully completed. You can read more about the “Identity and Content Verification” procedure here. The identity verification process can be initiated here on steemcleaners.com website. The badge attribution is an ongoing process that might take a few days and @steemitboard will notify you as soon as it is available on your board! If you either miss your badge or don't want it, feel free to contact @guiltyparties directly. How to use it in your publications? Do not forget to replace username with you own account name! Congratulations to all our verified online contributors! Do you like SteemitBoard? Support the project and vote for its witness! About 400 have been given out already and about 500 to go. If the account is verified just give us a little time to get it processed. how to first play it? It’s a welcome step in protecting accounts, even 2FA using google authenticater can be implemented for logging in, steemconnect apps, and for steem withdrawals from account as an additional security layer. Thank you @steemitboard and @arcange. I'm very happy to receive mine! it is just a badge, right? It means that if you post on Steemit, and somewhere else(facebok, instagram, Googleplus, etc), and your account is verified, your posts will not be marked as Plagiarized. Otherewise, you risk getting listed by Steemcleaners, as plagiarizing content. Well...I had to alter it a little. Nice efforts. Keep up good work. I don't quite get what I should fill in on http://steemcleaners.com/verifications/new. Steemit post — a post on steemit or a post with a back link to steemit? Media link — or is this the post with a back link to steemit? Additional information — anything else, simple enough. 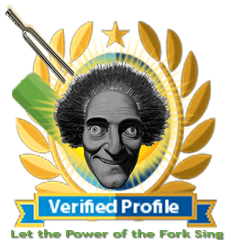 It was what I did and my Steemit account is already verified but I haven't received the badge yet.